After the hustle and bustle of ‘IMBIBElive’ I was pleased to be dispatched to the more select surroundings of the Royal Horticultural Society halls in Westminster in October to the annual tasting hosted by the Union des Grands Crus de Bordeaux, this year presenting its 2014 vintage. With 110 members represented, and only four hours to pace yourself tasting, it is impossible to taste wines from every chateau, but I did get round to tasting wines from most of the 13 ‘appellations’. I am discovering that the pleasure of these occasions is not derived solely from tasting some Class A claret, but also that you tend to bump into the same faces while you are tasting, which cannot help but contribute to the proceedings. My old friend Douglas Harrison, who I ran into at the Leadenhall Saint-Emilion tasting, pointed me towards Chateau Gruaud-Larose from St Julien, which shows great promise. At the Leadenhall tasting I had also met Nick Breeze, who runs a very lively wine blog. Here he was again, and I pointed him in the direction of Chateau les Ormes de Pez, from St Estephe. 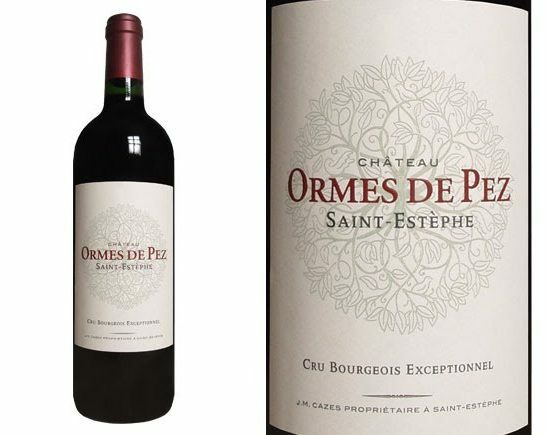 I have a very soft spot for Ormes de Pez as some years ago I asked the sommelier at Le Chapon Fin, a very fine-dining restaurant in the heart of Bordeaux to produce a wine flight for me with my three course dinner there. The restaurant is unusual in that one wall is composed entirely of coral. I sadly forget the dish which the sommelier chose to pair with a lovely glass of Ormes de Pez, which was not in itself of no consequence, but the wine I found quite memorable and have enjoyed several glasses since. Oh yes, and for the record Nick Breeze found it the most interesting from a dozen chateaux from the same region side by side along the table. More recently, I stayed at Le Moulin de l’Abbaye in Brantome in Perigord. All the bedrooms were named after Bordeaux wines or regions, and mine was named ‘Cos d’Estournel’, a well-known Saint-Estephe. Sadly this chateau was not represented at the tasting , but one which was was Chateau la Dominique, a Saint-Emilion, which I had read has a new cellar, coloured bright red, designed by the architect Jean Nouvel. I engaged the general manager in conversation about this, and will pay it a visit next time I am in the area. 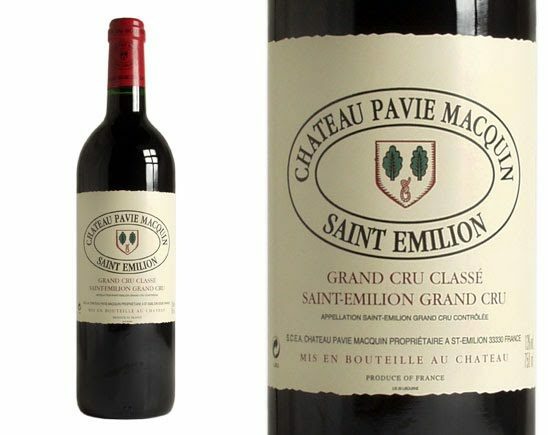 I also tasted a very fine Chateau Pavie-Macquin, a domaine I was already familiar with from the St Emilion tasting earlier in the year, recently awarded (91 – 93) points by Neal Martin of The Wine Advocate. 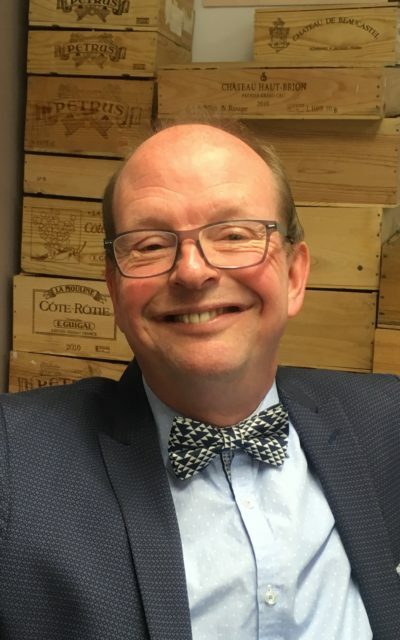 I had seen it on another prominent wine merchant’s website, and as chance would have it I bumped into the founder very near the table, so I mentioned the Wine Advocate score. He replied rather loftily – I choose my adverb carefully as he stands at over 6 foot – that ‘points are points’, with a slight ‘harrumph’ in his tone, suggesting that he didn’t set great store by them. I can see that he has a point (sorry), as although Neal Martin is a fair and renowned guide, how you apportion points can often be very subjective. I tend to think of them as rather like school league-tables, which register the percentage of exam grades attained while telling you very little about extra-curricular activities or the character of the institution as a whole. The merchant in question does however make a point (last time, honestly) of including this information on his website.